News has come in that the popular 2017 CBR1000RR which already had substantial changes carried out, “suddenly has the possibility of getting a full change for 2019”. 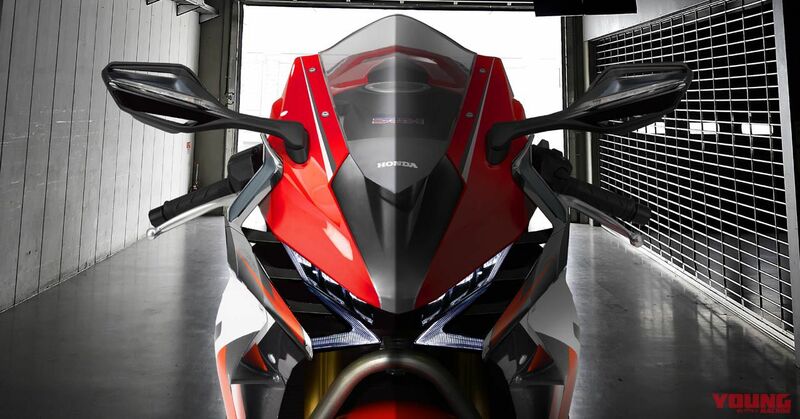 There are big expectations that this will be added to the full picture of the “next generation Honda super sports plan” along with the new V4 superbike! Here at the scoop department of Young Machine we managed to pick up on information regarding the next generation of Honda V4. And, whilst those investigations were underway we managed to pick up on another big-shot. We have identified how the CBR1000RR stage-two evolution project that we ran a scoop on two years ago, “seems as though it will get the go-ahead”. The 2017 CBR1000RR got big changes and its abilities were not to be outdone by any of its rivals. The four-cylinder litre machine has been favoured all over the world and been making good sales thanks to its supreme lightness and easy to handle characteristics. If you shift your attention to the world of racing, although it may have missed out on the title at the Suzuka 8hr Endurance race, a real fight unfolded in the opening stages as it kept up with the pace of the Yamaha YZF-R1. Also, despite being its debut year it showed great fighting strength in acquiring the season title in the All Japan Road Race Championship (JSB). 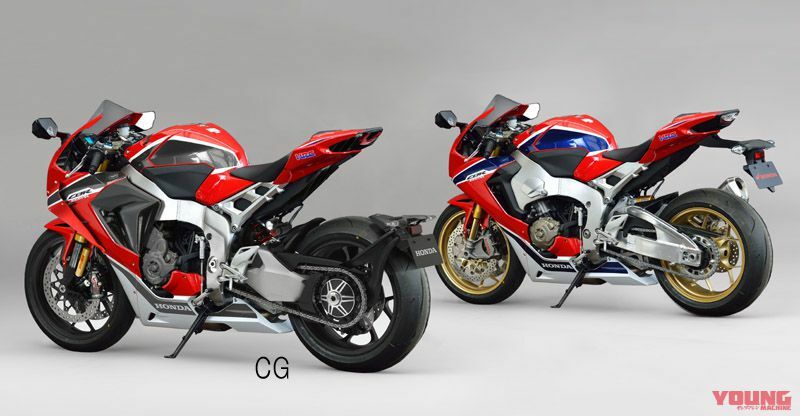 Left: CG prediction of what Honda imagine the next version of the CBR1000RR superbike will appear like. Its design is bound to have a strong impact on the aesthetics of the CBR250RR. 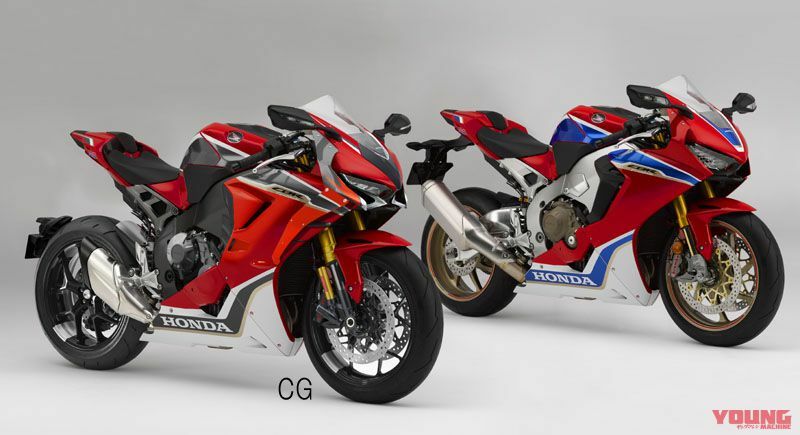 Right: This is the SC77 (CBR1000RR SP2) that appeared only two years ago, and is already set for a possible full model change. It has actually been 11 years since everything from the engine to the framework has been rebuilt from scratch. This will surely be an absolutely awesome sports bike with the same theme that has continued ever since the first generation 1992 CBR900RR of “total control”. What will become of the 2019 CBR1000RR?! According to our sources, it seems as though the word “ultimate” will be exhausted when speaking about the next version. For rivals it will not be a litre sports bike of another manufacturer, but “our” RC213V-S. Moreover, because there is no binding with the V-S kind of (MotoGP replica machine), it appears how the latest equipment can be optimised, as Honda aim to produce an ideal superbike package. First of all, it is likely that the bike will be more compact and lighter with all the reforms, and is bound to move on yet further in terms of lightness compared with what the SC77 attained. The engine will be fitted with a new rocker arm to cope with the high revs, and it’s expected that power will exceed the 202bhp Suzuki GSX-R1000. In regards to the framework, it is being hoped that it will have a contained “Unit Pro-Link”. The first generation of MotoGP machines that adopted the Unit Pro-Link do not prop the suspension straight onto the frame, so the amount of freedom in frame settings is heightened. However, the responsiveness and sense of control is not as good. It has not been in use since the 2007 MotoGP season, and its abolishment allows scope for space to be maintained, and greater traction ability can be achieved. The speed adjustment in the lower areas with the Showa EERA suspension makes a remarkable difference, and we also want to see the internal panels forged from the exterior bodywork of the MotoGP bike. 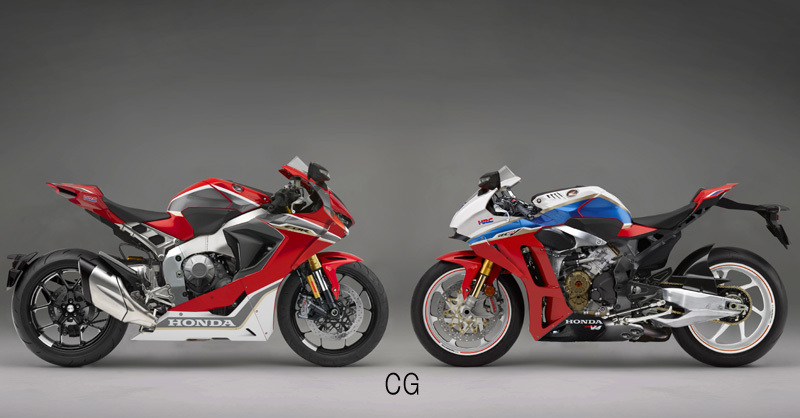 The SC77 (CBR1000RR SP2) on the right only appeared two years ago, yet it may get a full model change. This would actually be the first time in 11 years that the engine & frame would get a full remake from scratch. This will surely become an absolutely sublime sports bike with the same theme that has continued ever since the first generation 1992 CBR900RR, of “total control”. While we have to stay on standby for the next version of the straight-four RR, there are strong signs that the “new super sports V4 model” project is coming alive, that we reported on back in the December 2017 issue. For Honda to push as far in releasing a V4 model in addition to a straight-four, it reveals how “determined” it is towards being influential in Europe. Like we have reported on many occasions, the rumour is that the RSV4 will be sold with a spec kit direct from the works bike, and KTM will put a MotoGP V4 racer up for sale on the market. More than anything else, Honda has set a spark with the Ducati. Last year, a fight unfolded for the title in MotoGP with the V4 machines, and in 2018 the new production Panigale V4 will be released. All the more, in 2019 the Panigale V4 will begin with taking part in SBK… This will be bound to shake up the attitudes of its rivals in no time.